The goal of this post is to provide a simple description of how to install Bower JS and how to use Bower JS to manage client side dependencies. The first time I tried to use Bower I had problems. Hopefully this tutorial will provide others a complete resource to navigate around the issues that I found. To run Bower you will need to download and install Node.js. 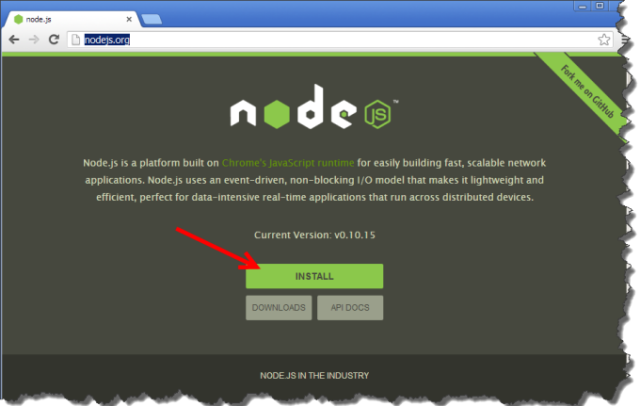 Go to http://nodejs.org/ website and select the “install” button (see image below). This should download the version of Node.js you need. For me, when I clicked the “install” the version for Windows 64-bit downloaded. Once Node.js is download, execute the file.